T-Mobile finished first in J.D. 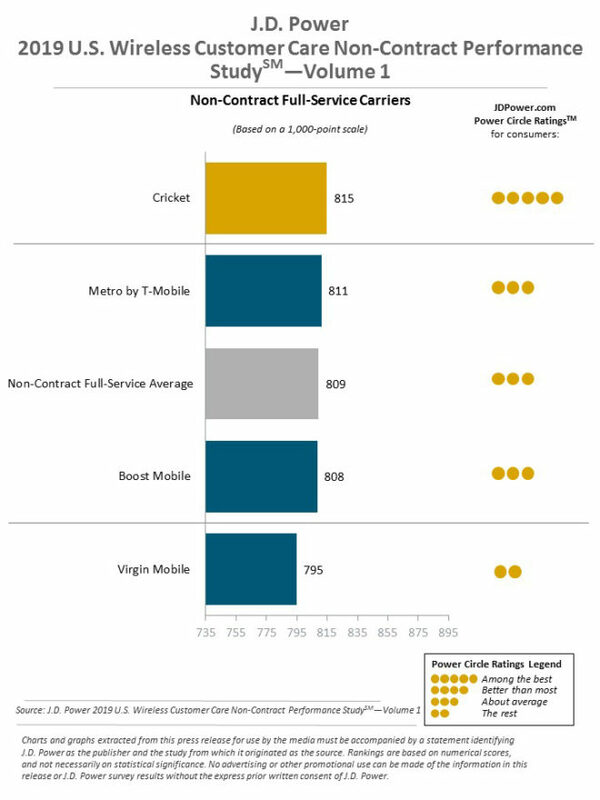 Power’s U.S. Wireless Customer Care Performance studies in 2018, and it looks like 2019 is starting out the same way. J.D. 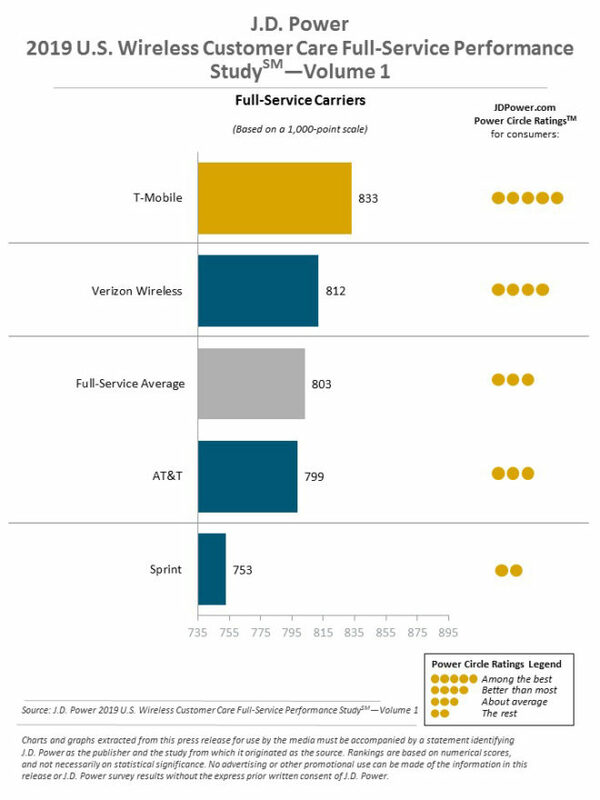 Power today announced the results of its 2019 U.S. Wireless Customer Care Performance – Volume 1 study, and T-Mobile has beaten out the competition. T-Mo finished with 833 points out of 1,000, well ahead of Verizon and its 812 points. AT&T came in third place with 799 points, and Sprint rounded out the big four with 753 points. When it comes to prepaid, Cricket Wireless finished first with 815 points out of 1,000. Metro by T-Mobile wasn’t far behind, finishing with 811 points, while Boost Mobile and Virgin Mobile earned 808 points and 795 points, respectively. The results are based on responses from 11,531 wireless customers who contacted their carrier’s care department within the past three months. The study evaluates the experiences across 12 customer care channels: phone customer service reps, in-store contact, online chat, email, social media post, carrier app, automated telephone systems, website search, social media search, user forum, video from carrier, and carrier app search. Today’s results mark the third straight time that T-Mobile has come in first in J.D. Power’s Wireless Customer Care Performance study for full-service carriers and the 17th time total that T-Mo has ranked highest.